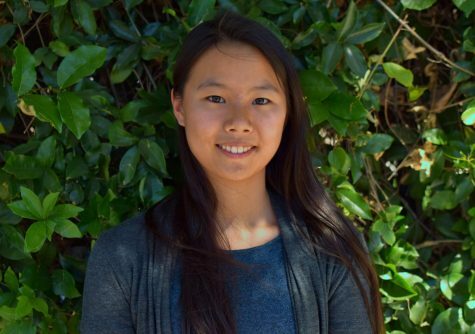 Emily Hung is a senior and the current co-editor-in-chief of Aquila. This is her fourth year as a journalist, and she is planning on majoring in journalism and pursuing it as a career. Outside of the hard working person she is, Emily is just like everyone else. She really likes to eat Miso soup and adding Cilantro to a variety of foods — the stem of the herb is her favorite. Emily also likes to make smoothies in the summer; she’s created banana, apricot, orange and apple flavored ones. Her ideal vacation spot would be anywhere near the ocean or a body of water. If Emily won a thousand dollars, she would donate 20 percent of it and use the rest for a trip to Hawaii. Other than traveling to Hawaii, she would also like to live in Los Angeles someday due to the city’s large amount of entertainment and media like the Los Angeles Times, Disneyland and Buzzfeed. She would also like to own either a husky or a golden retriever since she believes they’re smart and adorable; she can’t really choose between the two. Besides dogs, Emily also loves alpacas and squids. She likes the alpaca, which she calls “the smaller llama,” since they’re adorable and really soft.